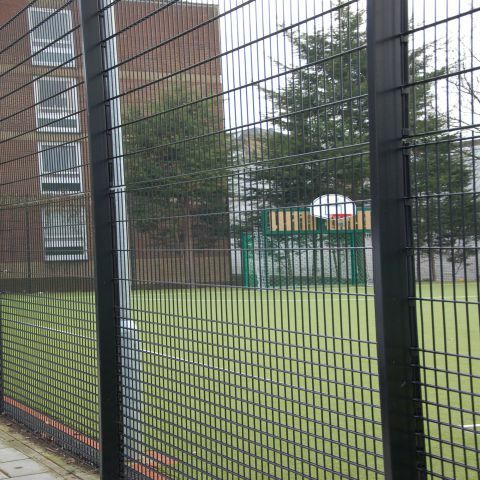 The Protek 656 Rebound mesh fence system has been designed for use around multi-use ball game areas. 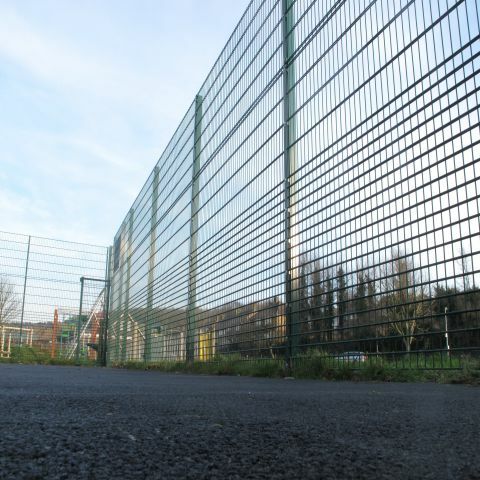 The standard Protek 656 Rebound Panel is 2.0m high with the wire spacing on the lower 1200mm of the panel being 66.6 x 50mm and the remaining 800mm above being 200 x 50mm. The closer wire centres on the lower part of the panel give it high rebound properties, helping the ball to rebound back into the court. 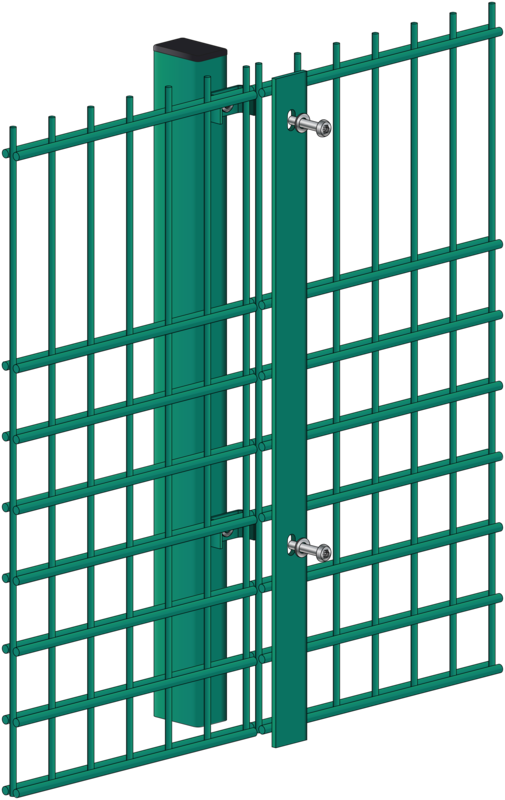 The posts and full length clamp bars that Alexandra offers provide a fixing system which secures the panels but allows for variations. 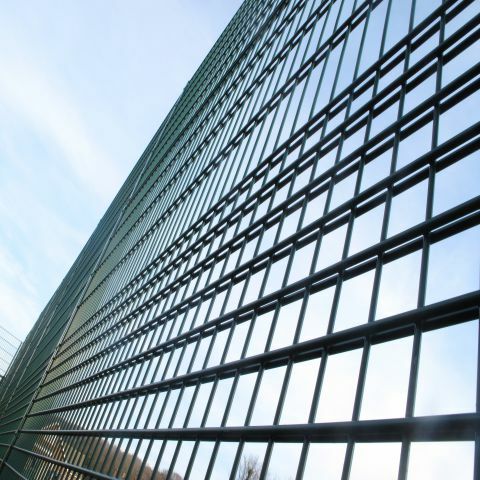 The system is easy to install, allowing the panels to be stepped, helping the fence line to follow the contours of the ground. 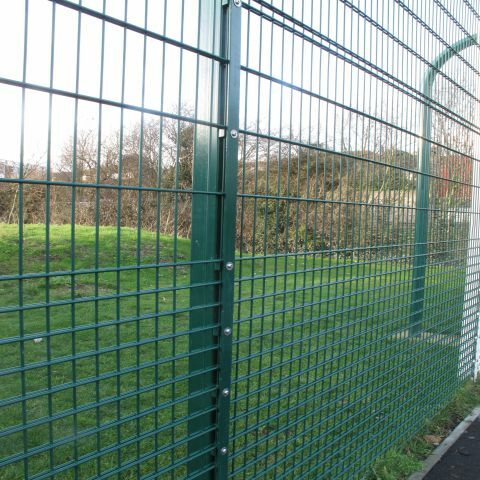 With the vandal resistant security fixings this post and clamp system provides a higher level of security than the traditional clip system.